Windows 10 Creators Update build 15019 is now available for fast ring members. The latest insider build brings many new features as well as improvements. However, the new build also comes with some known issues. 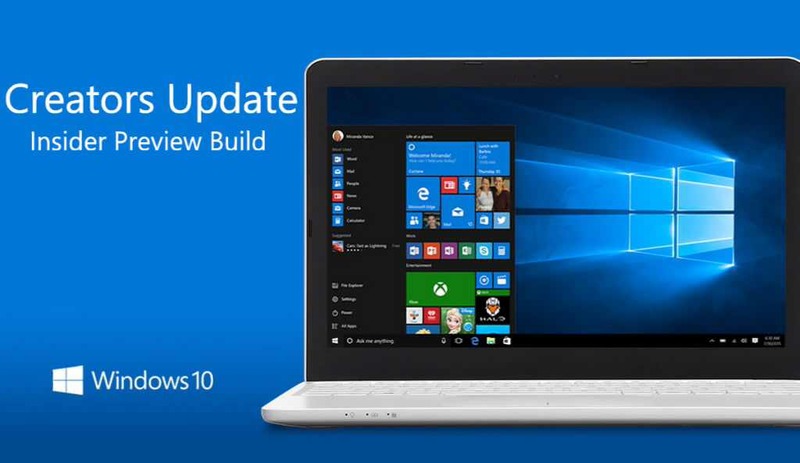 If you are facing issues like error 0xC1900401, build not yet available, download stuck at 0%, high CPU usage issue or other problems with the latest build, check out workaround here. After updating to this build, nonstop exceptions in the Spectrum.exe service may occur causing PCs to lose audio, disk I/O usage to become very high, and apps like Microsoft Edge to become unresponsive when doing certain actions such as opening Settings. Tod fix this issue, delete – C:\ProgramData\Microsoft\Spectrum\PersistedSpatialAnchors and reboot. Some Windows Insiders may have had trouble connecting to certain Google sites due to an implementation of a new security model being rolled out to further enhance user security. Users can access these sites from an InPrivate tab. Extensions in Microsoft Edge do not work in this build. Extensions may appear to load but will not function as expected. This issue should be fixed in the next Insider release build we release. Note: Please take caution when editing the registry. On some PCs, audio stops working sporadically with ‘device in use’ error”. Fix this issue by restarting the audio service may fix things for a bit. Game Mode is enabled system-wide by default, however, the ON/OFF toggle in Settings will incorrectly show it as being OFF until the user manually toggles the Setting to ON which will cause it to update and accurately display the status of Game Mode system wide.